They’ll oversee projects, some of them involving patients, that will research and test prototype digital health tools for consumers, patients, providers and health systems, in the U.S. and Europe, officials say. They’ll also work to establish organizational frameworks for researchers at HPI and Mount Sinai to more closely collaborate, and look for ways and boost funding opportunities for other researchers worldwide. Both Mount Sinai – New York City’s biggest integrated delivery network – and HPI have significant and complementary resources in healthcare, life science, engineering and emerging technology, Dudley and Bottinger point out. “We know we can save lives, prevent disease, and improve the health of patients with artificial intelligence in real-time analysis of comprehensive health data from electronic health records, genetic information, and mobile sensor technologies,” said Bottinger, in a statement. 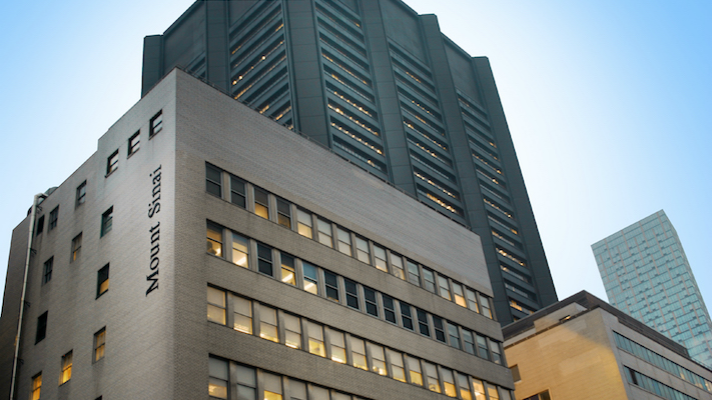 “This endeavor will usher in a new era of digital health at Mount Sinai that advances the field of precision medicine,” said Dr. Dennis S. Charney, president for academic affairs at Mount Sinai Health System. “By leveraging our shared knowledge and academic excellence, Mount Sinai and HPI are positioned to find solutions that will revolutionize healthcare and science, and improve health nationally and globally.